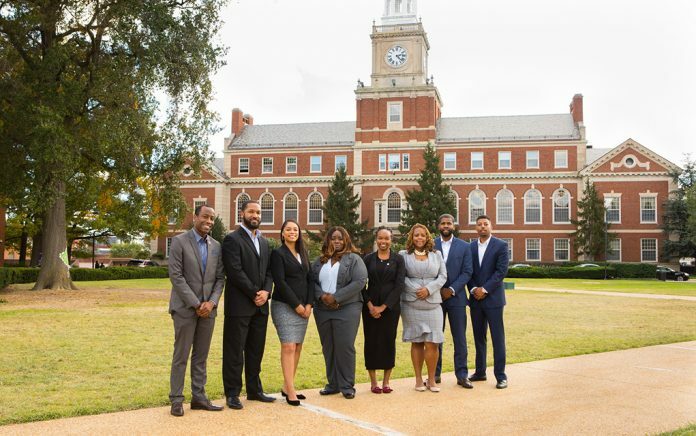 Last week, the annual Bloomberg BusinessWeek survey ranked Howard University’s School of Business 33 on its list of the nation’s top performing full-time business school programs. The news comes at a time when Howard has been making big moves for its business students. Earlier this year, the university opened a new lab for finance students thanks to a generous donation from Howard alum Wendell Mackey, CFA. The Bloomberg Terminal is a software platform that provides real-time and historical data, market moving news and analytics to help leading business and financial professionals worldwide make better informed investment decisions. The survey, which was produced 30 years ago, has a newly improved ranking methodology includes surveys with students, alumni, and recruiters. Business schools received an overall ranking and were ranked based on several specific components including compensation, learning, networking and entrepreneurship. Howard University received highest marks in networking and learning.